Congratulations... Now what about the wedding? You want a celebration to remember, full of experiences that will leave you and your guests with lifelong, happy memories. We have over 20 years of experience working with couples just like you. We don't offer set packages. Instead we work from a blank canvas to create your day, your way. So, why not let us take the worry out of planning your wedding day? ...Because we want it to be an experience to remember too. Book a complimentary consultation and share your ideas with us. Choosing a wedding venue is such a big decision, and with over 8000 locations across France to choose from, it's hard to know where to start. How do you find them, assess their suitability, understand their costs? And after all that time spent on research, what if THE venue is not available? With years of experience in the design, logistics and planning of weddings in every sort of location, the French Wedding Company knows exactly which properties will best suit your ideas. So, whether you want a lavish celebration or an intimate affair, need your venue for a whole week or just a day, why not let us do the search for you? 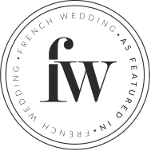 French Wedding Company was founded by Laura Southgate following more than 20 years experience planning weddings and events. In the UK she worked in the 5 star hotel and corporate hospitality sector before moving to France where she managed luxury châteaux. French Wedding Company was born out of her passion for creating unique events that see clients enjoying great experiences. Laura says: "Getting married in France didn’t teach me how to plan a wedding but it did teach me what it is to be a bride – to feel the emotions that only a wedding can evoke. "Every time someone contacts me at the French Wedding Company, my heart skips as I remember the excitement that my own engagement created. But it also reminds me of how daunting planning a wedding can be. "So the first thing you can be sure of when you work with my team and me.... is we know how you feel". As featured in French Wedding Style. French Wedding Company was the proud winner of the Luxury Travel Guide Award for Wedding Planner of the Year, France 2015. French Wedding Company was the proud winner of the Luxury Travel Guide Award for Destination Wedding Specialist France 2016 & 2017. Also featured in "Le Parisien Magazine"
If you want a wedding package then we are not for you. At the French Wedding Company, we specialise in creating bespoke events, tailored to each individual couple. No two weddings are ever the same. Our team has a broad range of expertise - we are not one person wearing many hats. This means you get the very highest level of customer care. To achieve this we have to limit the number of weddings we do, but then we believe in quality not quantity. We prefer to keep things as simple and as transparent as possible so we charge a fixed fee for our service. Once we've helped you find the right suppliers, your contract will be directly with them. There are no hidden costs.